Collins Booksellers - Dark Valleys by Gary Dobbs, 9781473861800. Buy this book online. 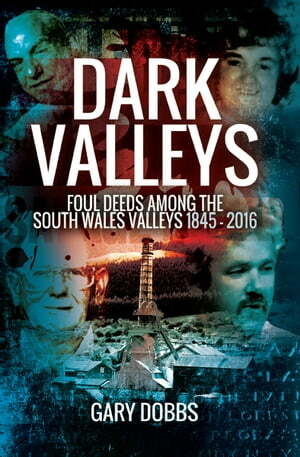 Dark Valleys collects together more than a century of murders that took place in and around the valleys of South Wales. These horrific crimes shocked not only Wales, but also made national headlines. Although treated with compassion and sensitivity by the Welsh author and crime historian Gary M. Dobbs, these true stories are often gruesome and harrowing, with no details spared in chronicling what were truly terrible events. The reasons behind such violent crime are explored, and we see the changing attitudes of society to crimes fuelled by alcohol, poverty, passion or, increasingly so in modern times, drug abuse. The book also highlights the changing procedures of both the police and the courts in dealing with such crimes. It contains stories of hardship and incredible poverty, and of ordinary lives suddenly transformed by brutal and sickening violence.